A HIGHLY speculative future for Sullom Voe was outlined by the Oil and Gas Authority’s (OGA) director of operations Gunther Newcombe in Lerwick on Monday night. Talking to a “high level” crowd of oil and gas executives and local suppliers as part of a two-day event on the energy industry, Newcombe said that looking into the distant future, Sullom Voe Terminal could become an excellent industrial estate combining a variety of functions. In his illustrative example, Sullom Voe could perhaps contain a wind farm, warehousing, tidal power and light decommissioning as well as a slimmed down oil terminal. The important thing, he said, was to get everyone talking about and preparing for the future, when the whole industry will have to adjust to declining reserves. The OGA is an “arms length” government company intended to regulate, facilitate, promote and co-ordinate the fossil fuels sector. 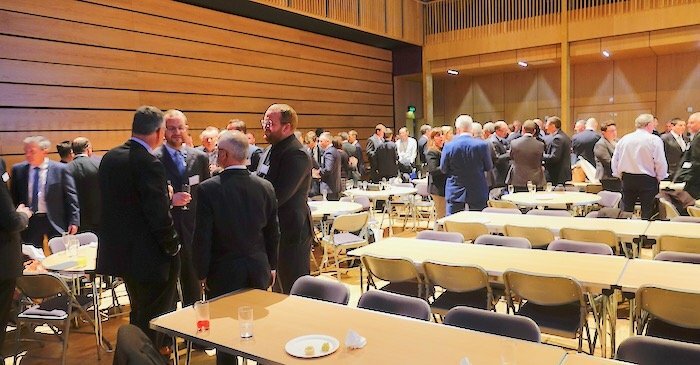 While much of the first day of the two-day industry meeting had focussed on Dales Voe as Scotland’s favoured decommissioning site plus the announcement of a contract to scrap Ninian North topsides, the evening session focussed on the broad picture for the near Shetland industry. Newcombe said that the future for the energy industry from exploitation of remaining reserves to transformation was “so exciting” and the people involved should be “pretty proud of what you are doing”. The presentation encompassed the history of fossil fuel developments plus the medium term possibilities for developing the remaining substantial hydrocarbon reserves – of which gas will have have greater longevity than oil. The existing pipeline infrastructure could be used in different ways and fresh developments added to the network. This meant that Sullom Voe would remain a valid option into the future. Norwegian gas could also be imported via the existing pipeline network. Newcombe also emphasised terminal operator’s EnQuest’s need to cut running costs at the terminal and the possibility of the plant reducing to one stabilisation train. This would mean shut down of oil processing when the train requires maintenance. It was unlikely that the terminal will need its vast oil storage capacity and this will likely be reduced and some of the capacity taken away. There was also talk of the need to maximise the “local supply chain” to make greater operational efficiencies. Earlier in the day, bus loads of oil and gas delegates visited the local supply chain including two parties who met Lerwick engineering firm Ocean Kinetics. 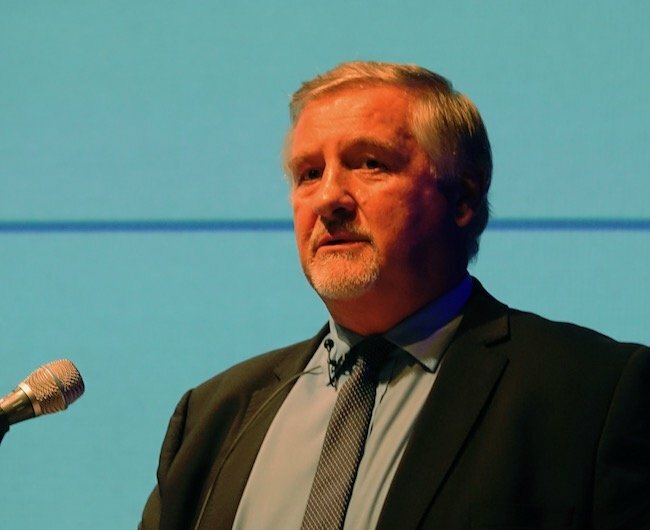 Managing director John Henderson said that the event, organised by Highlands and Islands Enterprise (HIE) and the OGA, had been very useful for making contacts within the industry, as many of the players had not even heard of some of the local suppliers. He said that Ocean Kinetics had already picked up business with EnQuest, which had made previous commitments to engage locally as much as possible. Speaking after a meeting in Shetland Museum earlier in the day, energy minister Paul Wheelhouse said that the Scottish Government had embraced climate change targets “head on” with its energy strategy. He added: “The energy strategy we published in December is consistent with our climate change targets and it still has a role for the oil and gas sector. 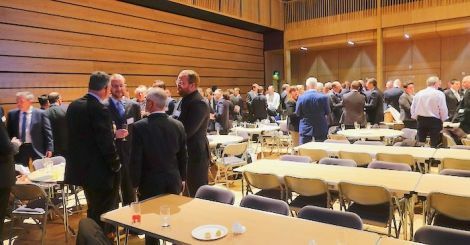 He said that there was still scope for oil and gas to grow in Shetland including looking at the role of Sullom Voe and the potential for greater collaboration within the sector, adding that there had been “very positive discussion” about this. Discussions had also focussed on Dales Voe and there had been “a bit more visibility about platforms which might be coming forward and when, which also helps us to think about the timing of investment in Dales Voe to capture the best chance of securing that work”. There had also been “some suggestion” of private sector investment, “as it seems to be an attractive option”. Wheelhouse added: “If we can keep the facility competitive in terms of pricing, the locational advantages speak for themselves. There is an opportunity to build a centre of excellence around the decommissioning of topsides here in Shetland. He said that it would be time to put a business plan together after the UK government makes a report at the end of the year. “We will try and do as much work as we can so that when the base study is concluded at the end of the year and that will give us an impetus to launch into looking at the detailed work on the finances,” said Wheelhouse. He also praised HIE and OGA for bringing together so many people from so many strands of the oil and gas industry. He said: “It was just a very positive discussion. It is a chance to get all the stakeholders together in one place, including regulators. “That in itself has been quite unusual to get all those who have an interest, high level people, in that room to talk about the future of oil and gas and more generally the energy sector.